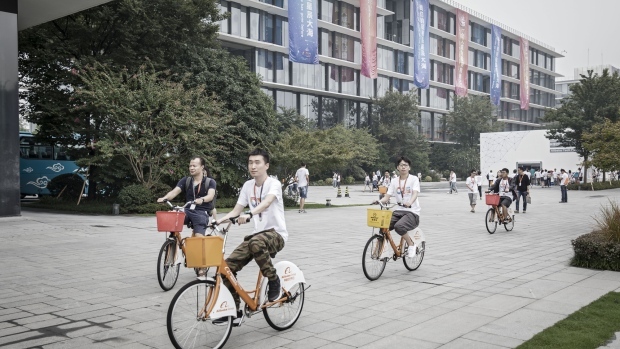 The Alibaba Group Holding Ltd. (BABA.N) co-founder once more endorsed the sector’s infamous 12-hours-a-day, six-days-a-week routine as de rigueur for passionate young workers. In a lengthy Sunday blog post, China’s richest man expanded on comments from last week, in which he dismissed people who expect a typical eight-hour office lifestyle. Employees and visitors at Alibaba’s headquarters in Hangzhou, China.